In the very beginning of the second lesson of Likutei Moharan, the Rebbe established that through the nukva depardaska, the nose/chotem, the breath of life is drawn in. He then stated that Moshiach's main weapon will be prayer. From the breath of life he would be able to pray for Israel, and save them. In the first lesson, the Rebbe spoke of all the benefits of a tamed yetzer hara, the inner intelligence, and how it was all received through malchus. In the second lesson, the Rebbe explained the path to the benefits and not just the end result. I think the Rebbe ordered his teachings this way so that he could appeal to the nature of humans. People work towards goals. Tehy don't work hard and wait for a goal to appear. They first have to weigh the options and decide if it would be worth it. The Rebbe knew that if he told us how hard being hold would be, he'd scare us all off. A great salesman will show you how great the product is before he tells you the cost. When working towards the ultimate goal, breathe deep! You knew it wouldn't be easy, but you chose it anyways. Take in the breath of life through your nose and breathe out in prayer. 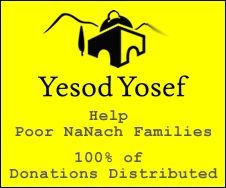 If Moshiach can bring us all back to Eretz Yisroel this way, then we can obtain our own insignificant wants and needs the same way. Except, of course, it would be easier.